Goat milk soap recipe, it’s easy and fast. This is a step-by-step picture tutorial using goat milk but you can use this as your basic recipe and actually use any kind of milk you have. I love having this basic soap recipe. It’s easy, quick, healthy for your skin, and you can change it around by using different kinds of milk or different kinds of essential oils (or not use essential oils at all). Have you been wanting to make soap for a while but are a little overwhelmed by the amount of information out there? Well, this post is for you! Soapmaking was on my list for so long, but I kept thinking that I had to spend so much time studying it and I just couldn’t find the time. Then one day I decided that I was just going to print out a recipe and do it… Whatever happens, happens. I discovered that it was really easy to make soap! 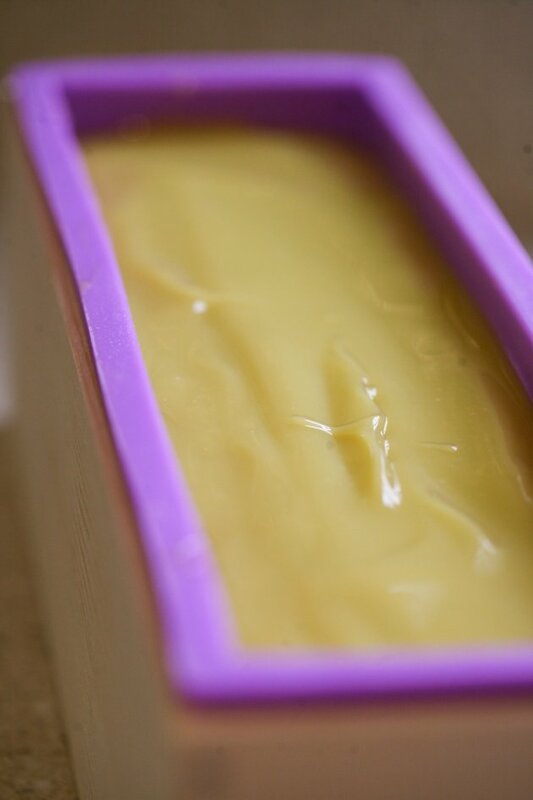 Obviously, I am not an expert and there are many kinds of soaps I would like to try to make and many recipes and techniques to try, but I now know how to make a basic soap that can be used as hand soap or body soap. If you want to be a bit more self-sufficient, or live a lifestyle that is more natural, or just want to have fun making basic soap, then you are in the right place. You won’t find complicated formulas here and there won’t be a 1000 words paragraph on the dangers of lye (however, we will go over how to use it safely). Just a simple recipe and how to make it so we can all have fun, be more productive and move on to the next homestead project. 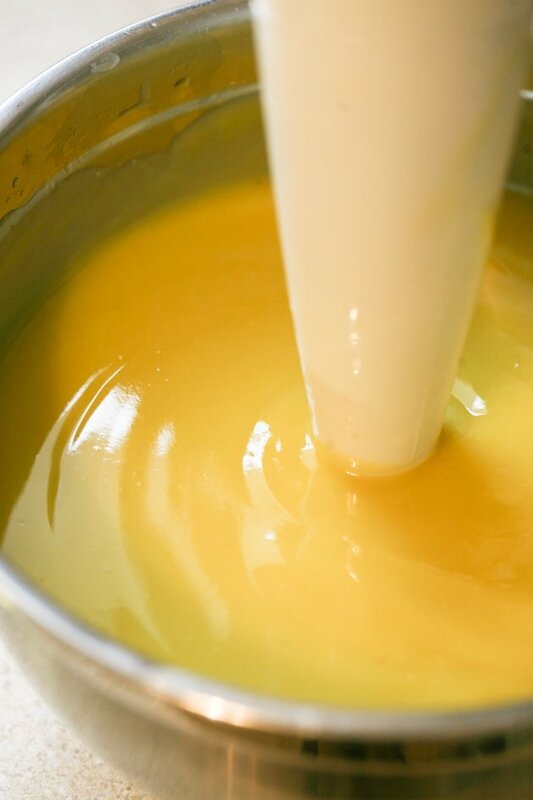 This is a cold process soap, meaning we are not going to cook it but rather mix all the ingredients together just as you would when making a batter for a cake. Then we will place it in a mold for a few days and after that, we will cut it into bars and let it cure. 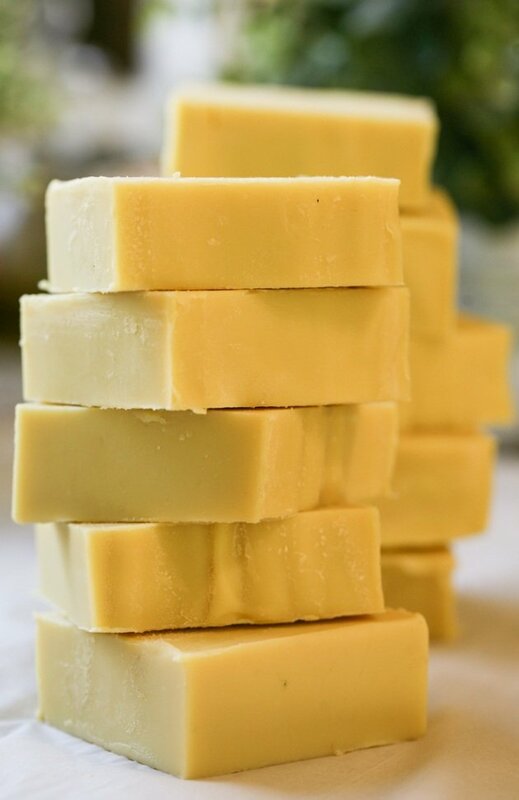 The main difference between cold process and hot process soap is that we are going to need to let the cold process soap cure for 4-6 weeks before we can use it. Hot process soap takes longer to make but you can use it right away and as I understand, it’s texture is a bit different. I chose the cold process method because of its simplicity. It takes maybe 10 to 20 minutes to make it and you are pretty much done. 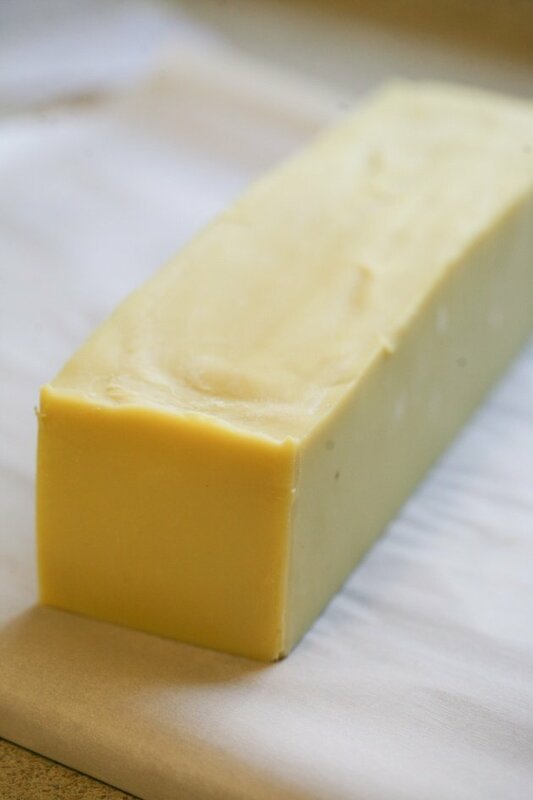 Each batch will give you ten bars of soap which will last a while so, in the beginning, you will have to wait for a little over a month to use your soap but as long as you can quickly whip up another batch every few weeks you should have soap on hand all the time. 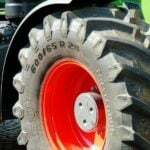 Like with every homesteading project, the first step is gathering your equipment. It’s funny to me how so often this step is the step that takes the longest, but once you have everything you need you’ll be able to make many batches of soap. 2 mixing bowls – these can be heavy (heat resistant) plastic or stainless steel (no glass or aluminum). I have this stainless steel set for a while and I love it. 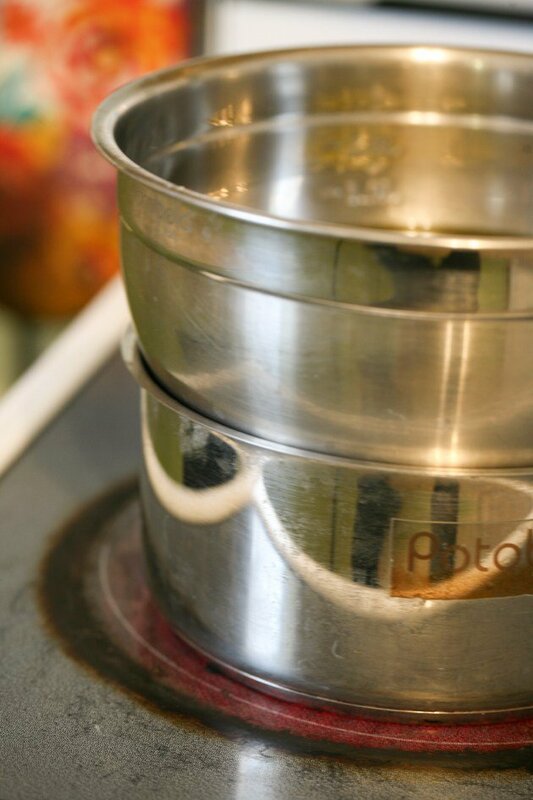 A pot – we will make a double boiler to heat the oils so make sure one of the bowls can fit onto a pot. Another small bowl – to measure the lye. A wooden spoon – for mixing. 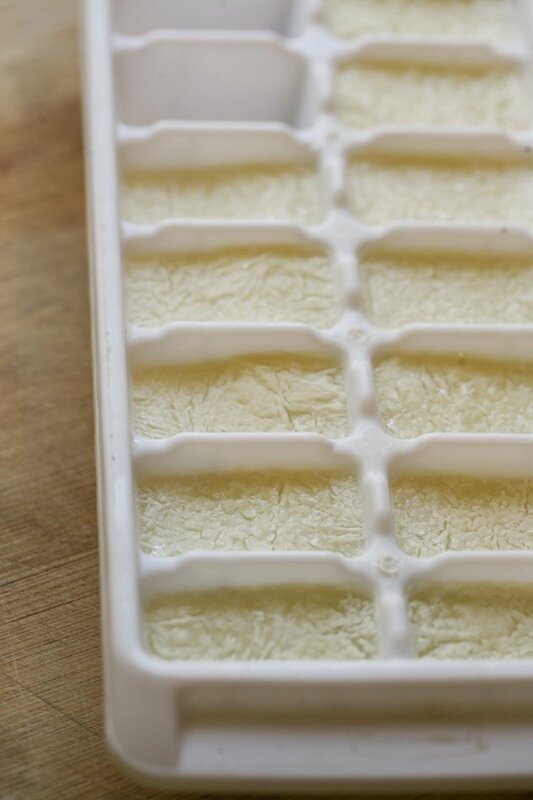 An ice tray – we will freeze the milk in the tray. An immersion blender – I purchased this one from Amazon and it’s fine, but I have this one for cooking and it’s a million times better. So if you can afford it, I recommend going with the better option. You want an immersion blender solely for soap making. Don’t use the same one for cooking and soapmaking. It’s a bit hard to clean those and you don’t want soap in your food. 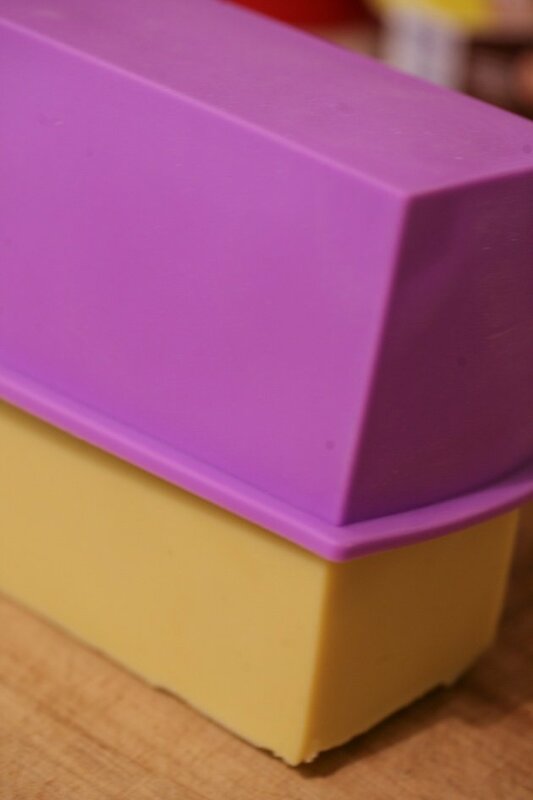 Soap mold -I was thinking about making my own but then found this mold. 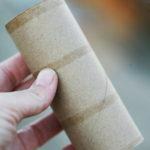 If I made my own I would have to spend some time on cutting parchment paper in a special way to line it every time I made soap. This mold was just a bit over $10 and came with a silicone mold and its wooden box so I thought it was worth giving it a try. It looks great, made pretty good for the price, and it seems like it will last for a long time so I recommend it. 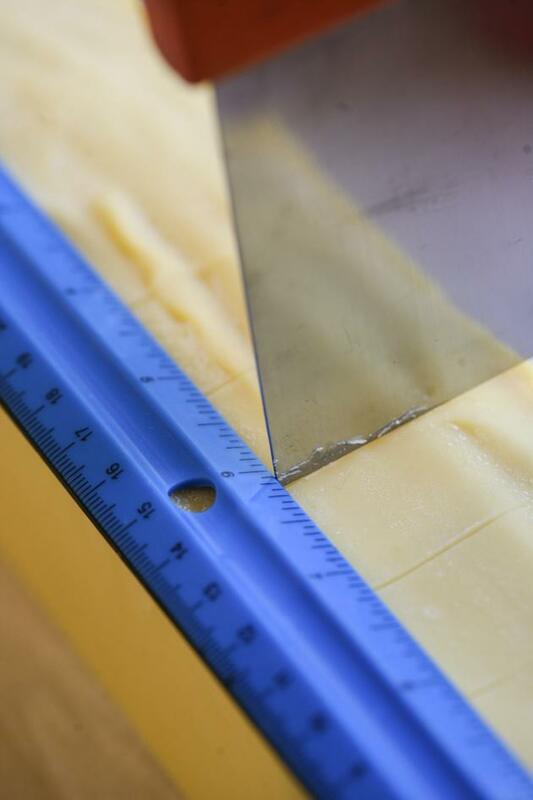 A ruler and a soap cutter – to cut the block of soap into bars. You can go with a fancy soap cutter or just use a ruler and a soap cutter like this one or a knife. **If you want to get the mold and cutter as a set, I found this set. It looks good and has good reviews. I ended up not using a cutter mold (you’ll see below) but I think that I will next time. It’s not easy to cut the bars straight, so a cutter mold would really come in handy. A baking sheet lined with parchment paper – we will place our bars of soap on the sheet to cure. This can also be a tray or a cutting board. 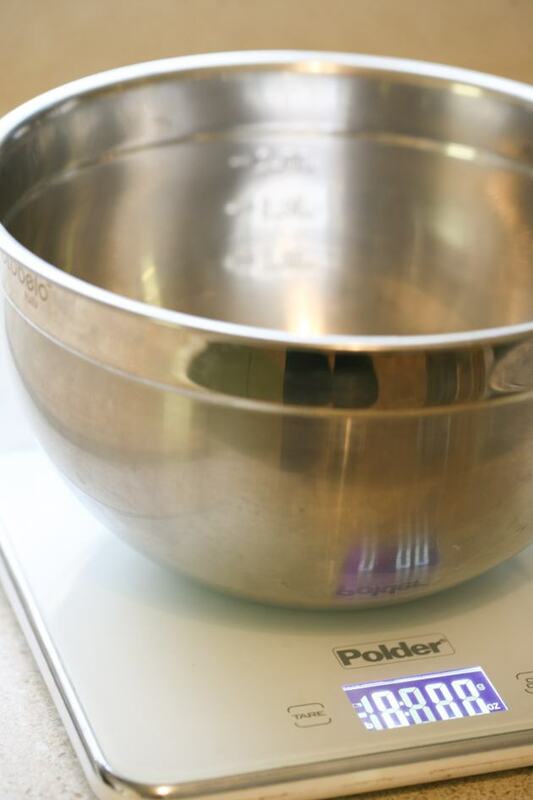 A kitchen scale – we have to measure all of the ingredients so make sure you have an accurate measuring scale on hand (all measurements are by weight). A thermometer – we will use a thermometer to check the temperature of the oils. Safety equipment – we don’t want to come in contact with raw soap batter because of the lye (more on this in a minute), so to protect yourself you will need, goggles, a shirt with long sleeves, and kitchen gloves. In addition, make sure you have a well-ventilated area to work in so you don’t breath in the fumes. I worked in my kitchen, right by an open window with my ceiling fan running at low speed. The best thing will be to mix the soap outside if there is a place there for you to work. 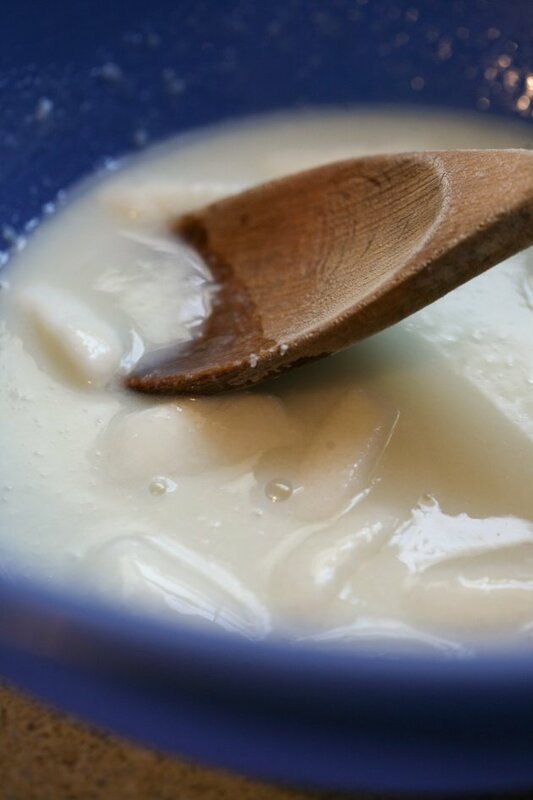 9 oz of milk – you can use any kind of milk for this recipe; coconut milk, almond milk, cow’s milk, goat’s milk, rice milk, or any other kind you can think of. 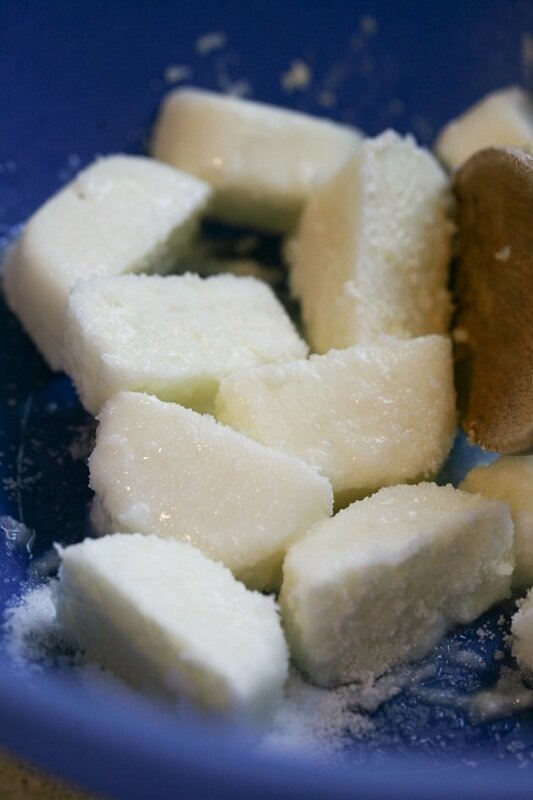 I chose to use goat’s milk because I have fresh raw milk from my goats and making soap was another great way to use it ( I also make this Easy Raw Milk Goat Cheese and sometimes I can my milk. You can read about this in How to Can Milk) If you don’t have a milk animal you can purchase milk from a local farm or at the grocery store. Use your kitchen scale to weight 9 oz of milk. To do that I placed a small plastic pitcher on the scale, zeroed the scale and added 9 oz of milk to the pitcher. Then, pour the milk into the ice tray and place in the freezer. 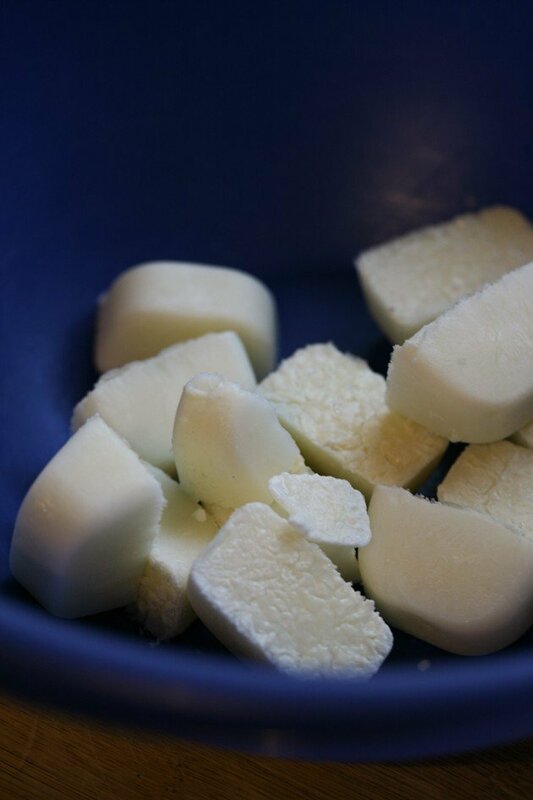 4.3 oz lye – to make soap you must use lye. Lye is not as scary as everyone makes it be. There are two kinds of lye; Sodium Hydroxide for making solid bars of soap, and Potassium Hydroxide for making liquid soap. When you mix lye and oils a chemical reaction occurs that changes both substances and the product is soap. This chemical reaction gives off fumes and heat and can hurt your skin and eyes, so you want to make sure you are protected by using the safety gear mentioned above. This is the lye I used in this recipe. Place your bowl on the scale and zero the scale. 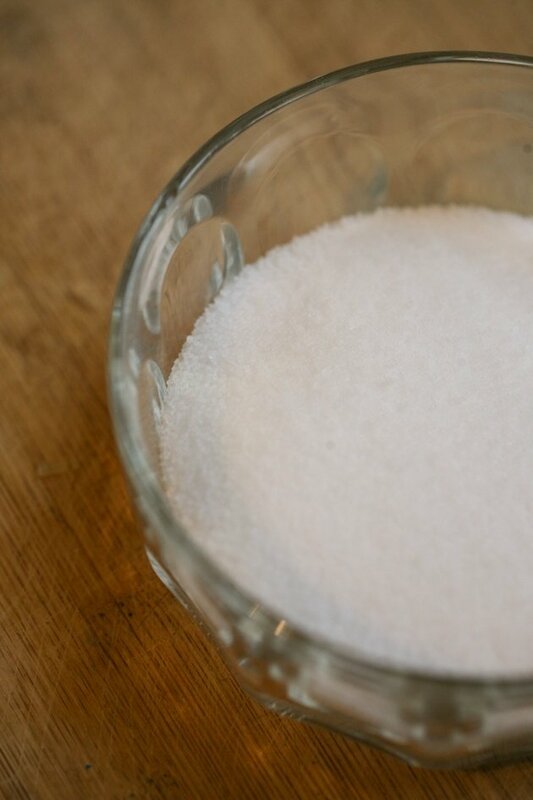 Then, add 4.3 oz of lye to the bowl. 8 oz coconut oil – I bought mine from a local grocery store. 22 oz olive oil – I also purchased this from a local grocery store. Make sure you get a good brand of high-quality olive oil. 1 oz castor oil – I purchased this one from Amazon. Essential oils – I only use doTERRA oils. doTERRA is a company that sells 100% pure and potent oils through Wellness Advocates like me. If you are interested in purchasing doTERRA oils, contact me and I’ll be happy to help you get started. I used a teaspoon of lemongrass oil simply because it’s one of my favorite oils. You can download a free chart of the best essential oils for soap making that includes measurements here. So now we have all of the equipment we need and all of the ingredients. Let’s mix all of this together! Add one oz castor oil and zero the scale. Add 22 oz oilve oil, then zero the scale again and add 8 oz coconut oil. This is how I do it but you can also measure each oil separately and add them to one bowl. 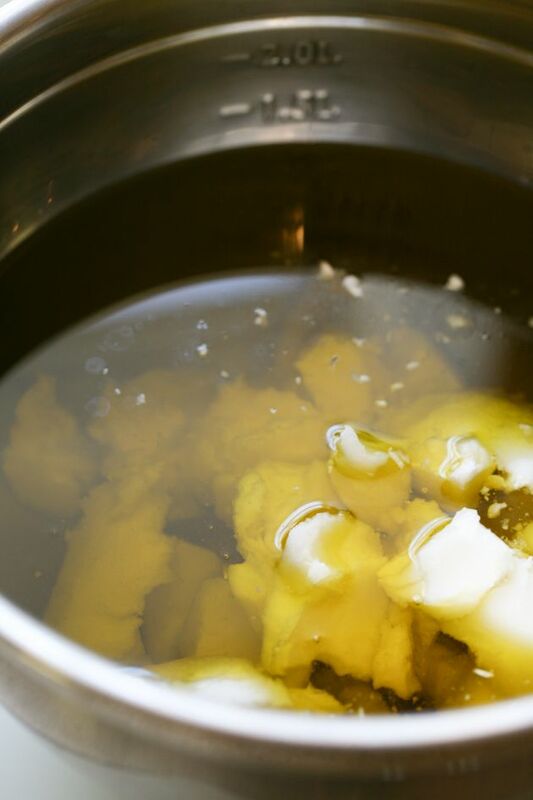 Fill your pot with a couple of inches of water and set your bowl of oils onto the pot to create a double boiler. Turn the heat on and let the oils melt. Use your thermometer to check the temperature. You don’t want the oils too hot; they should be around 90 – 100 F. Once the coconut oil melted, place the bowl aside. 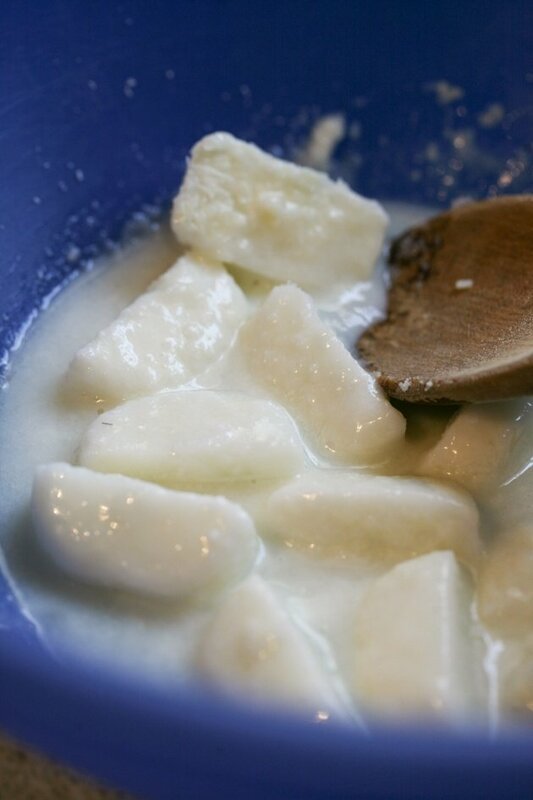 Remove your milk ice cubes from the tray and add them to a second bowl. Now, we are going to add the lye, remember the reaction with the lye produces fumes and heat, this is why we are starting with milk that is in a form of ice (so things don’t get too hot and create a little volcano), and this is why you might want to do the next part outside or at least by an open window. Also, remember to put on your protective gear before you start mixing the lye. 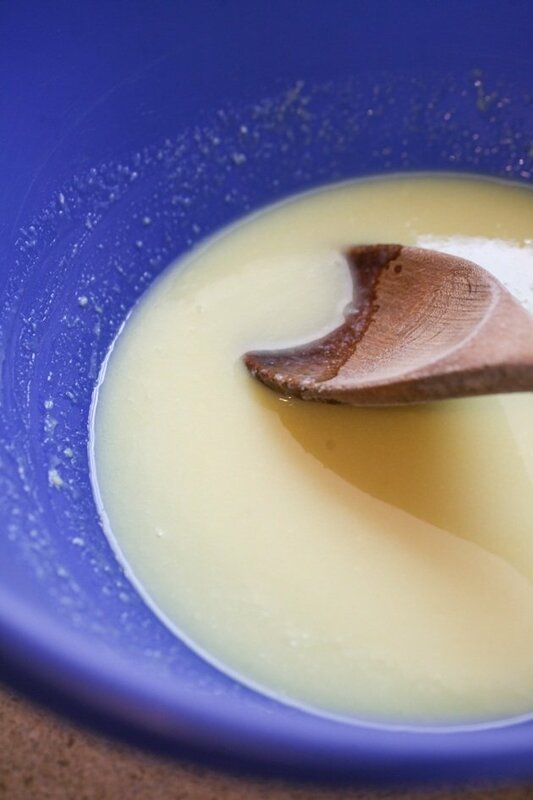 Start adding a few tablespoons of lye at the time while mixing. It will take a few minutes, but you’ll see how the reaction with the lye start to cause the icy milk to melt. Until all the ice is melted and you have this yellow liquid. 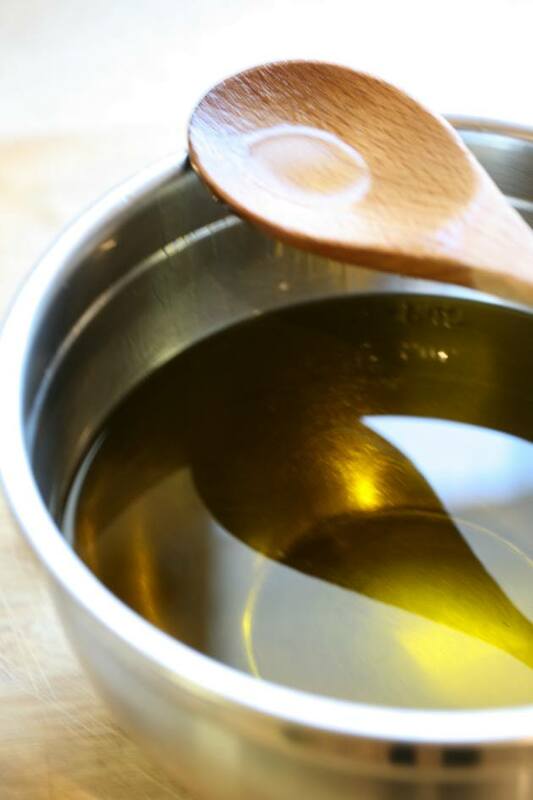 Now that the oils cooled a bit, add your teaspoon of essential oil to the bowl with the other oils if you’d like. Mix it in. Next, add the lye/milk mixture to the oils (oils should be around 90 – 100 F, if they are warmer, stir them a bit and give them a couple of extra minutes to cool). Now we are going to use the immersion blender to bring the mixture to what you call in soapmaking language “trace”. This also will take a few minutes. 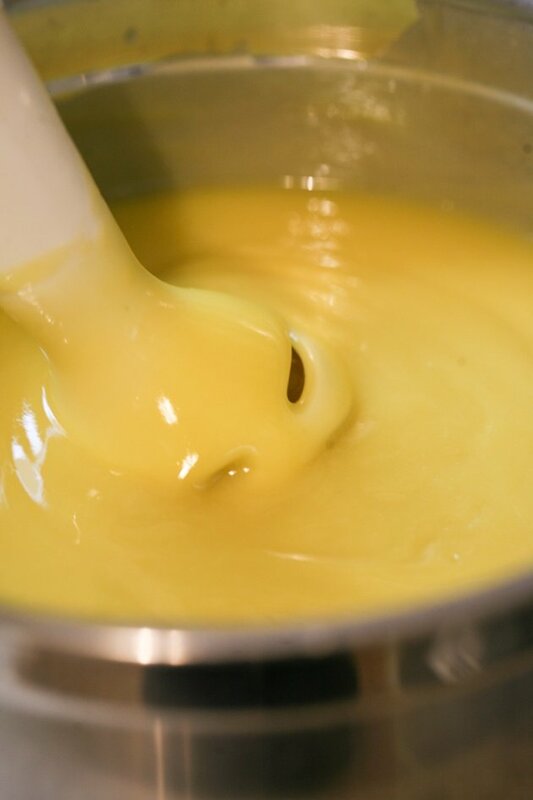 Keep blending, make sure you keep the blender under the surface of the batter so it doesn’t splash on you. Option one is to leave the mold at room temperature for 24 hours and option two is to place it in the fridge or freezer for 24 hours. 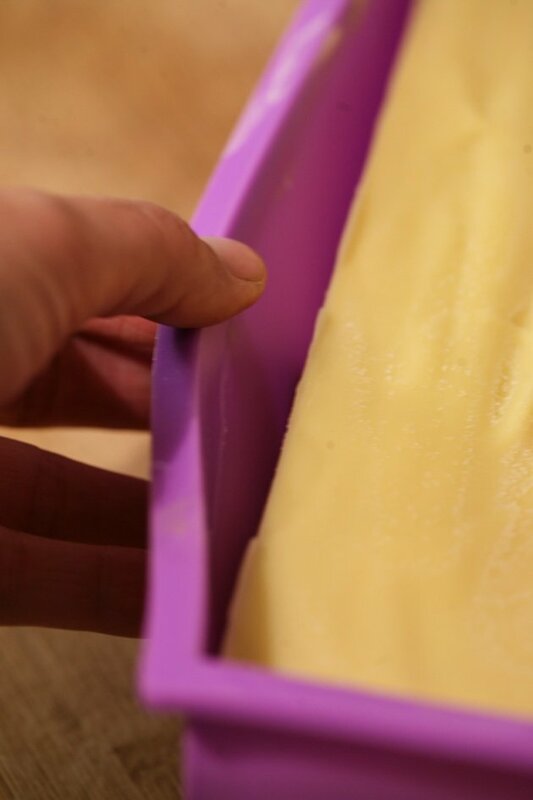 When you make soap without milk, you’ll leave it at room temperature for 24 hours, this will activate “gel phase” which means the soap batter will heat in the mold and bring out colorants. If you do this with milk soap, the soap will get a darker, brown color. 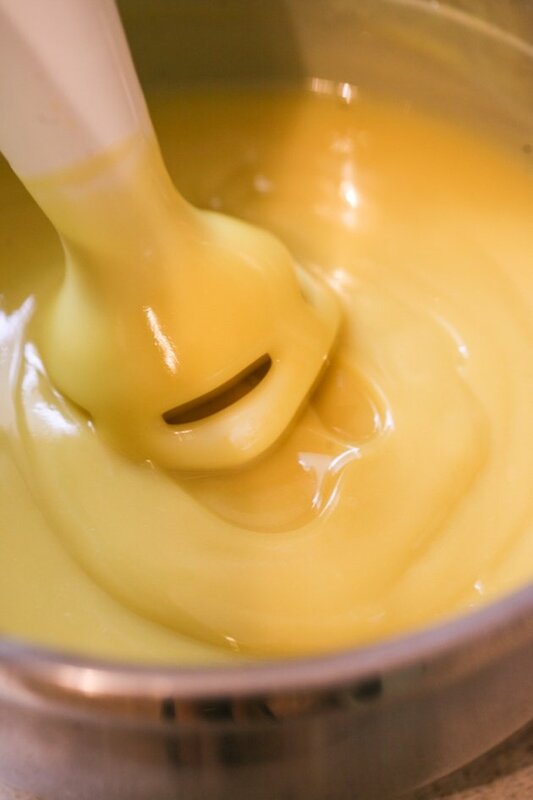 If you want to avoid gel phase so your soap stays more creamy color you place it in the freezer to keep the batter cool. I chose this route so I placed my mold in the freezer for 24 hours. After 24 hours, take the mold out and leave it at room temperature for another 24 -48 hours. Once that step is done, you will remove the block of soap from the mold. I ended up placing parchment paper on my cutting board and slowly releasing the soap from the mold. 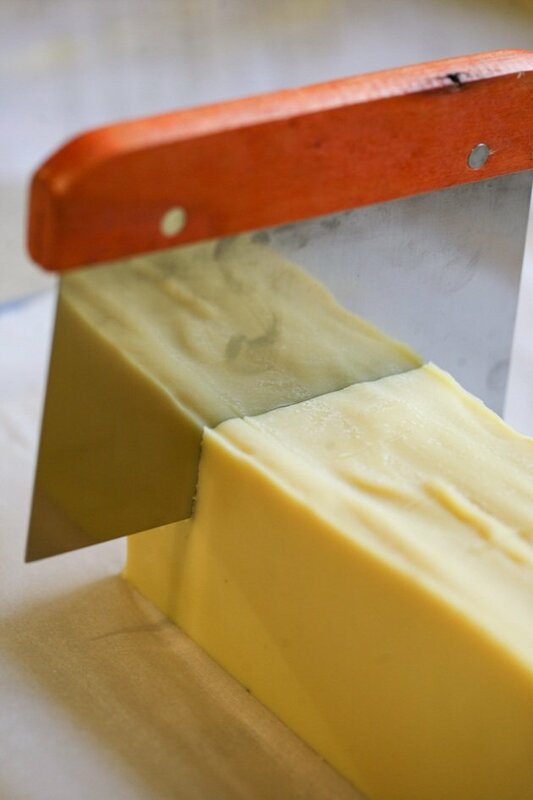 After marking, start cutting the block of soap into bars trying to keep the cutter straight all the way to the bottom of the block. That’s it! Our soap is ready for curing. 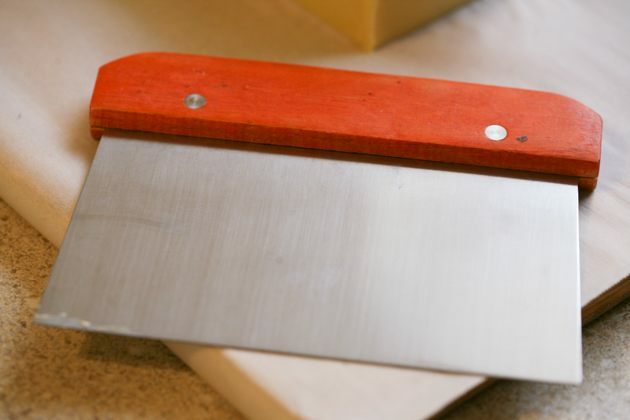 Place parchment paper on a tray or a cutting board and place your bars on the parchment paper. Keep the bars out of the way somewhere. They will have to cure for 4 to 6 weeks before you can use them. During this time, make sure to flip them a few times so they can cure well at both sides. 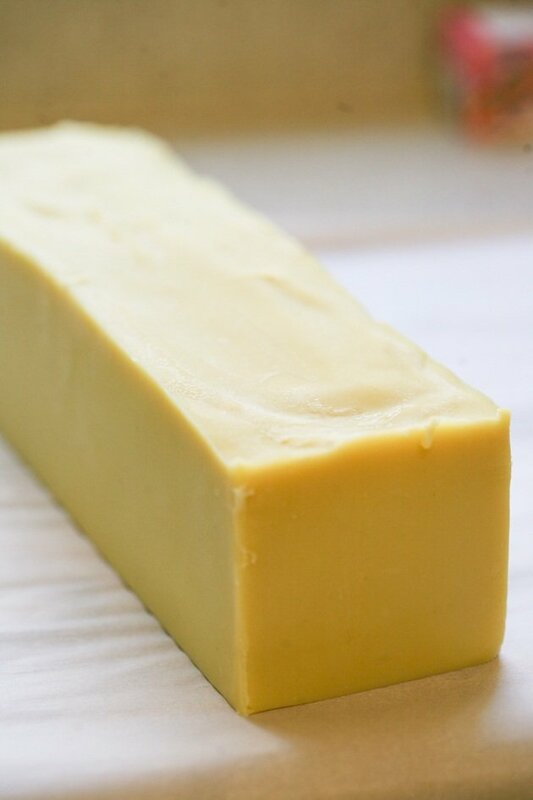 You’ll notice that as time goes by they will harden, this is especially a characteristic of soap that has a lot of olive oil it, it gets really hard. This was a very fun project. It took me some time to get everything together but once I was ready I was so surprised how easy it was to make soap. I think this will be serving us very well. It will be used as a hand soap by the sink, and body soap in the shower, so I won’t need to buy those at the store anymore. I already had olive oil, coconut oil, goat milk, and essential oils on hand for other things and the lye and castor oil that I got will last for many batches. If you felt that soap making was a little bit intimidating I hope this post helped you feel more comfortable giving it a try. I want to give credit where credit needs to go. This is not a recipe I came up with, I found it on The Nerdy Farm Wife and changed it just a little bit and added essential oils to it. Jan is amazing at soap making and has a lot of experience so I felt confident in choosing one of her recipes. If you want to get deeper into soapmaking you can find her Soapmaking Success course here, or her FREE soapmaking mini-course for beginners here. My next step as far as soapmaking will be to find a recipe for goat milk soap that uses animal fat like lard for example. This will lower the cost of the soap drastically since olive oil, even though it’s really healthy for your skin, is costly. If you know such a recipe, please share it in the comments below. I would also love to hear your thoughts about soap making and if you have any experience making soap, so share below if you have a moment! Wow! I too have been wanting to make goat milk soap. But felt intimated by the lye. You make it seem very doable…now to wait for my goats to have babies and get some milk this spring. I also love lemon grass EO. It calls me! Need to go find my bottle and get reacquainted; it’s has been a while. So… how is the soap working for you? And as shampoo? I love it! It smells so good and it feels very soft on the skin. Many commercial bar soaps leave the skin dry but not this one. I will have to get used to the feel of it as a shampoo. A while ago I stopped using regular shampoo and conditioner from the store and I had about a week of transition where my hear felt a bit different. I think the same will happen here too. I am also waiting for my goats to kid! I did freeze some milk from last year but it’s almost all gone. The lye is really not too bad, you’ll see when you make it. I’m looking forward to trying this when our friends’ goats ramp up their milk production in the spring! As far as animal fat goes, I rendered a bowl of tallow just from plain old grocery store ground beef. But you can put your oils you want to use into a lye calculator and it will give you the amounts you need of the oils and the lye. I’ve heard about the lye calculator but never found the time to check it out yet. 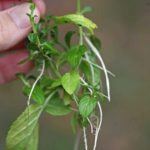 It will be nice to be able to make my own recipes depending on what’s available on the homestead. Also, lye goes into the water and not water into the lye or I hear it does a little volcano action and can cause a chemical burn. “Add water to lye and you may die!” is a great memory tool. I use my lavender oil when I get any type of chemical burn and have had good luck with it stopping the burn process. 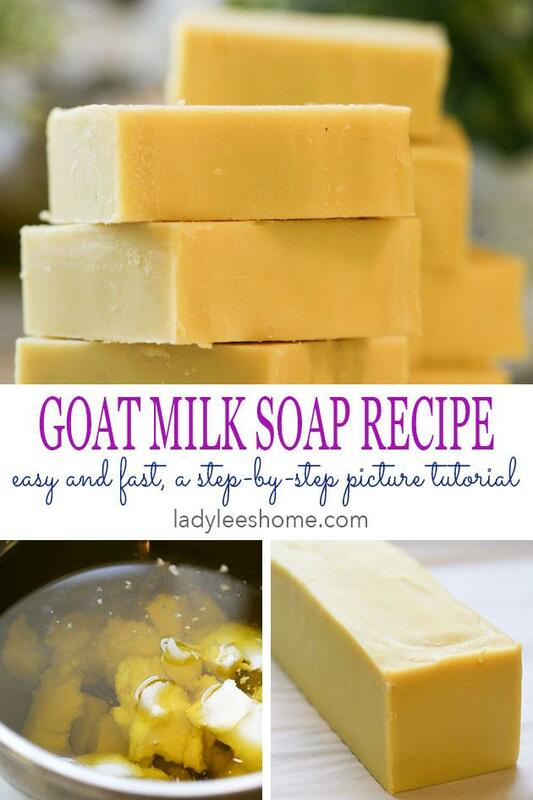 I have yet to make goat’s milk soap and I have been looking for the right recipe to do this. My daughter has goats and I am wanting to have some fun with this as soon as they are at the milking age. Thanks for the suggestions, MeLynda! 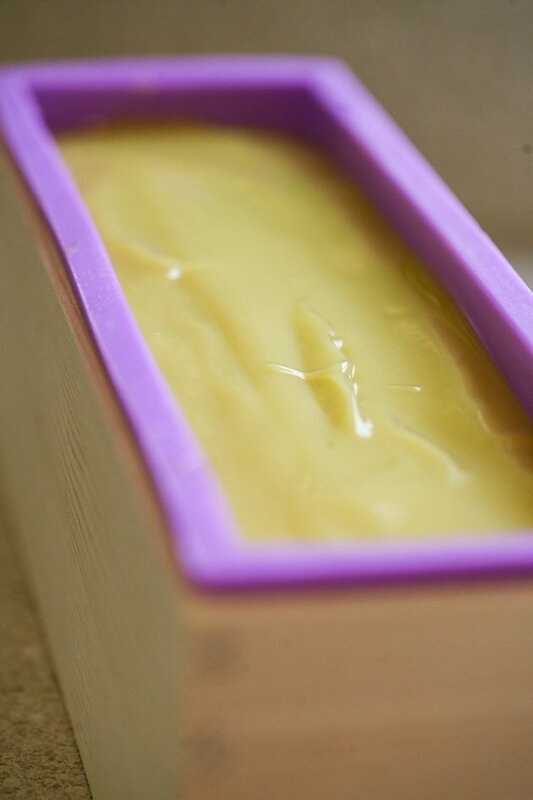 I make a milk soap similar to your recipe but use rice bran oil. Try substituting half your olive oil with rice bran. Thank you for taking the time to include lots of pics, it makes it seem as if we are right there with you watching. Soap making has recently intrigued me so I am still in the research stage and haven’t even purchased anything. I really enjoyed this. You are welcome Leaa! Thank you for stopping by. Nice job! I love the way your soap looks! Just a few of questions about your mold and other things… What’s it volume (I mean 900ml or 1200ml)? And what are the inner measurements of your mold? How much does the whole batch weigh? And what’s the weight of every piece of soap? Thanks in advance for your answers! Olga, every bar of soap is approximately 1 oz. It makes the overall bar about 10 oz since I got 10 bars. I can’t remember the measurements of the mold but you can find them in the product description on Amazon. I have been really wanting to make my own soap. I have switched to a more natural type and it’s so expensive but I can’t ever go back to regular soap. Thank you! Thanks for the helpfull article! I will soon try to apply! You are welcome! I love this soap, it came out really good. It sounds awfully painful to have to deal with such burns. 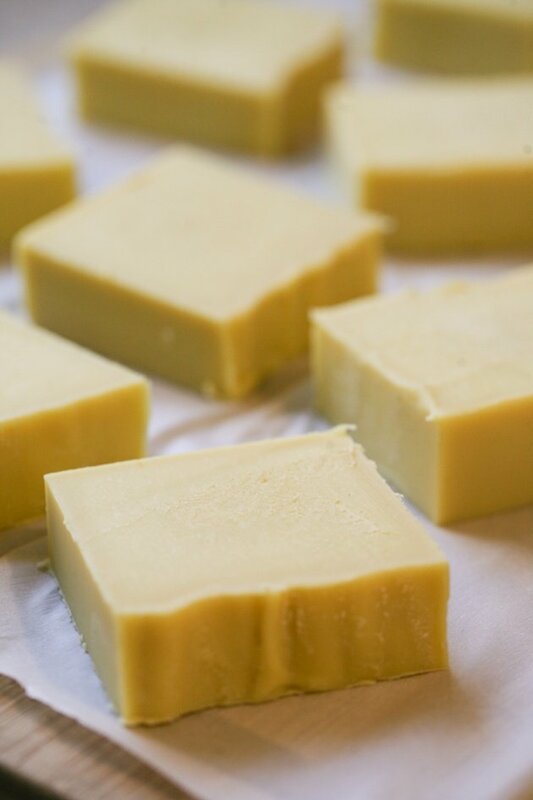 And by the way, learning how to make soap without lye is definitely on my to-do list! Please send your favorite recipe and notes if you don’t mind sharing! At what stage do you add your essential oils and how much? 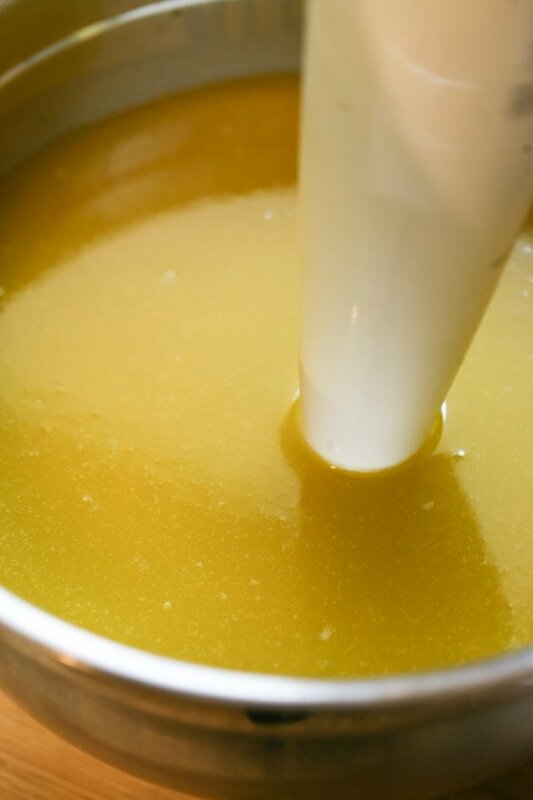 You can add a teaspoon of the essential oil of your choice to the oils before you mix them with the milk/lay mixture. So mix the oils, set them aside. Mix the lay and milk. Meanwhile, the oils cooled a bit. Mix the teaspoon of essential oil in and mix. 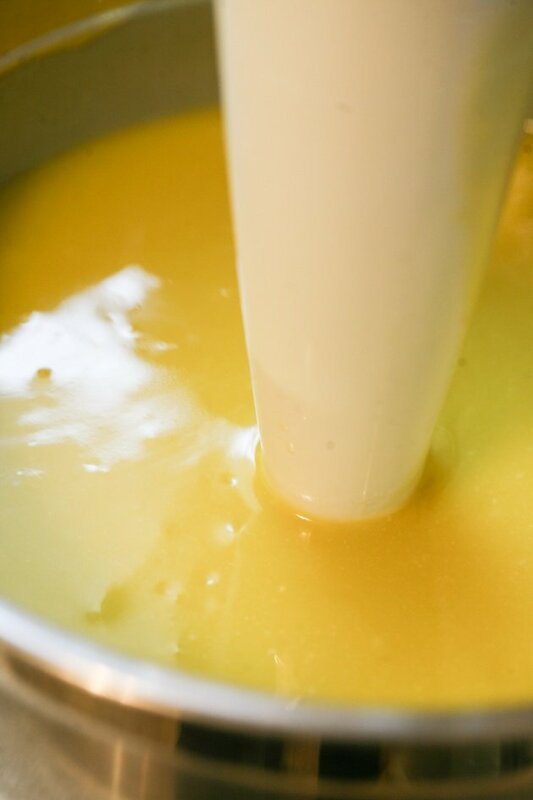 Then mix the oils and the milk mixture together. Oh! You made my day with this comment! Thanks for taking the time to write it. I am glad you liked the post. First Year of Farming For Profit – It Begins!